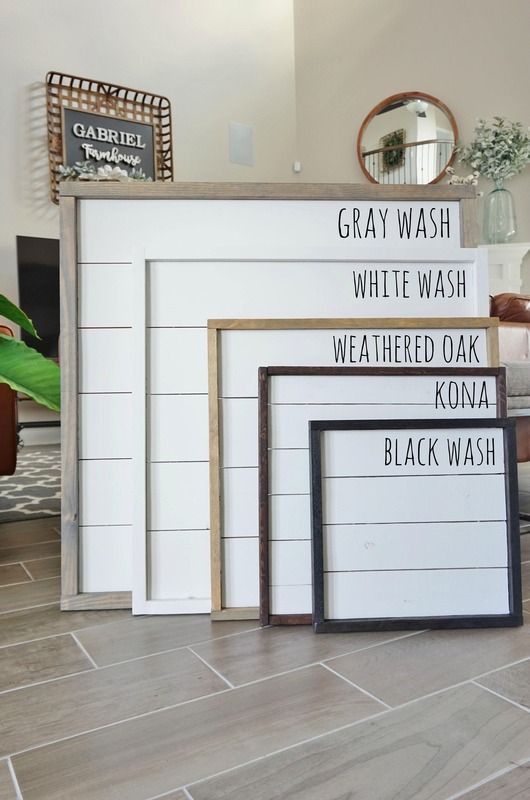 You'll fall in love with these ever so popular hand-crafted Shiplap frames. All materials that we use are personally hand-picked, meticulously inspected, cut & hand-painted by us. 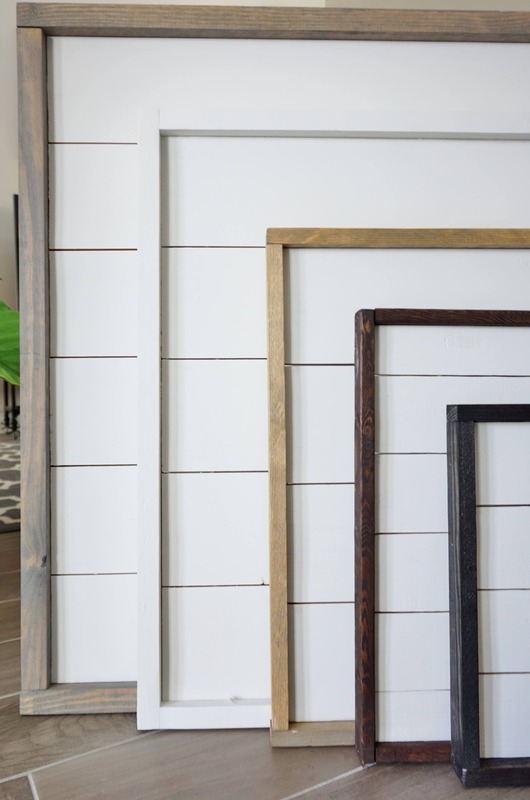 The board is made of painted plywood and etched to mimic the shiplap look. This technique keeps the board lightweight and hang-able. The boarder is stained in washed color to accent the natural grain of the birch wood. 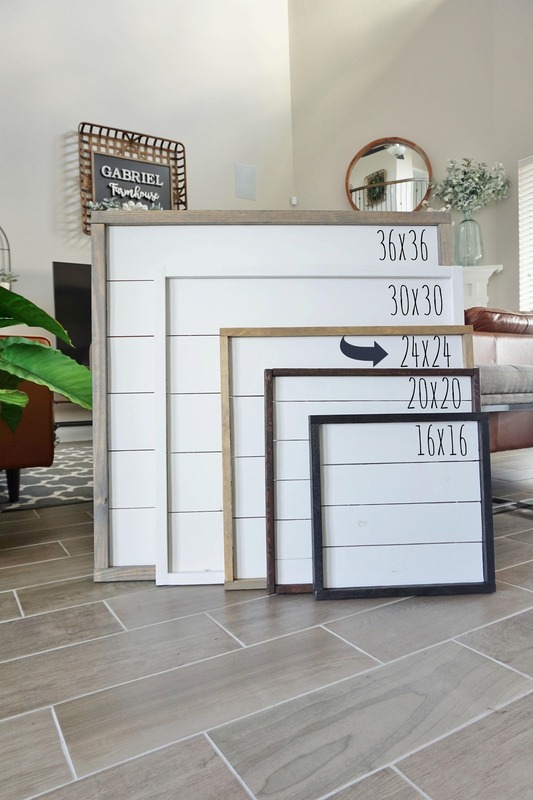 These shiplap frames will surely add that farmhouse feel to your space! * This listing is for the shiplap frame only. Decorative items shown are not included and for display purpose only.